With tested quality, safety and transparency, www.reifen.com is exceedingly trustworthy. The customer satisfaction at reifencom has been tested by TÜV SÜD (German MOT) and has been awarded with the mark 1.7 (05/2018). Motorcycle - max. mountable rim size 21 inch. You find our tyre trade in the district Duisburg-Hamborn directly at the landscape park Duisburg North. We have had this plant at Helene-Kropp-Straße since 2008 and are waiting for you with a professional and fast service. We offer a lot to you on a pure sales area of 40 square meters, a big area with space for the storage of 1,500 sets of tyres and a big outside area. 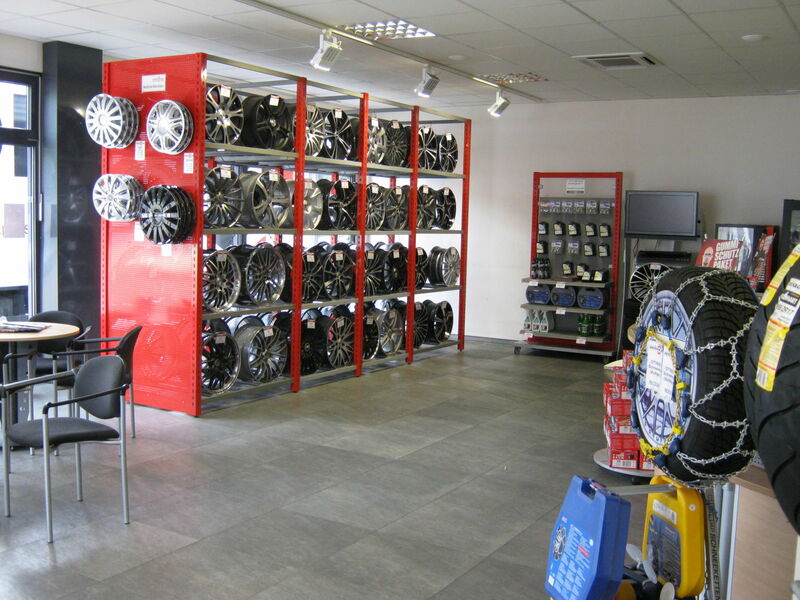 Our four fitters and three sellers are at your side politely and consult you in case of questions at all time so that you get the best tyres and rims for your vehicle. In principle it is important to us that we satisfy you as our customer fast so that we pay attention to absolutely keeping the appointments. In this branch we also offer a wide tyre service for fleet customer. If you wish your vehicle fleet to also be looked after, we are happy to hear about your request. Helene-Kropp-Straße is in the north of Duisburg and can be reached well by passenger car as well as with public transportation. It is inbetween autobahn A59, A3 and A42, so that you can reach us fast no matter which direction you come from. Exit A42 and follow Neumühler Straße until Helene-Kopp-Straße. Coming from autobahn A59, exit at Duisburg-Marxloh and turn to Duisburger Straße at the vocational college. This leads you directly to our branch. If you wish to reach us via public transportation, you can take the subway. The station is called Hamborn Feuerwache. You have to walk a bit longer if you get off at the station Amsterdamer Straße. Let us convince you of our service quality and give your summer or winter tyres into good hands. You can make an appointment with us via phone or email. 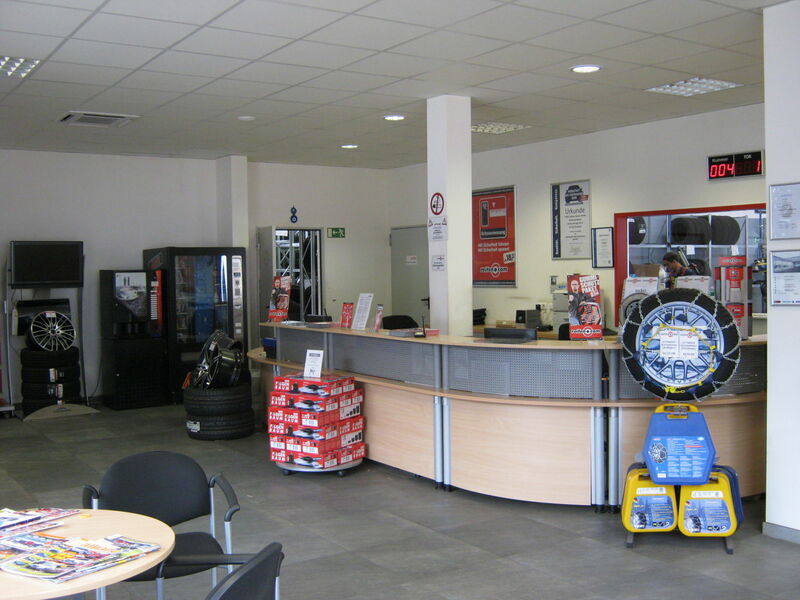 Alternatively you can come to us directly and let our staff consult you regarding new tyres and an appointment. We are looking forward to your visit. Axes that are not in the same lead cause higher operating costs and lower the driving safety. A defective axle geometry caused by accidents, edges of the kerbs or potholes lead to an unequal wear. Possible consequences: Loss of control on wet and dry roads, higher petrol costs, preliminary tyre change. reifen.com stores your tyres and wheels safely, professionally and inexpensively. Even from 2,13 EUR per tyre and month your summer and winter tyres find their well-deserved resting place under optimal conditions. A professional storage is of great importance for the durability of your tyres. At reifen.com you can pay new purchases starting from 99 EUR comfortably and with bearable monthly financing costs. Also use our cheep conditions which our partner, TargoBank, offers to you. This way you profit from our services and products today already and can take up to five years time to pay with clear rates. Just like riding a motorcycle, the change of tyres is a matter of trust – technology and material have to function reliably. We at reifen.com know this. During every seasonal refitting and tyre mounting, our wheel hub cleaning ensures clean wheel hubs and even mounting surfaces in a matter of minutes. Special lubricants cause a permanent seasonal sealing. This way the wheel hubs make it through the seasons cleanly and safely and the upcoming wheel change is easy and without damages. With nitrogen inflation inside the tyre you increase the safety and lower the operating costs of your vehicle. The air pressure that is constant on long-term decreases the rolling resistance and lowers the fuel consumption. Because nitrogen inflation stays inside the tyre measurably longer, not only the environment is happy, but also your wallet: The low fuel consumption leads to less CO2 emissions and lower petrol costs. 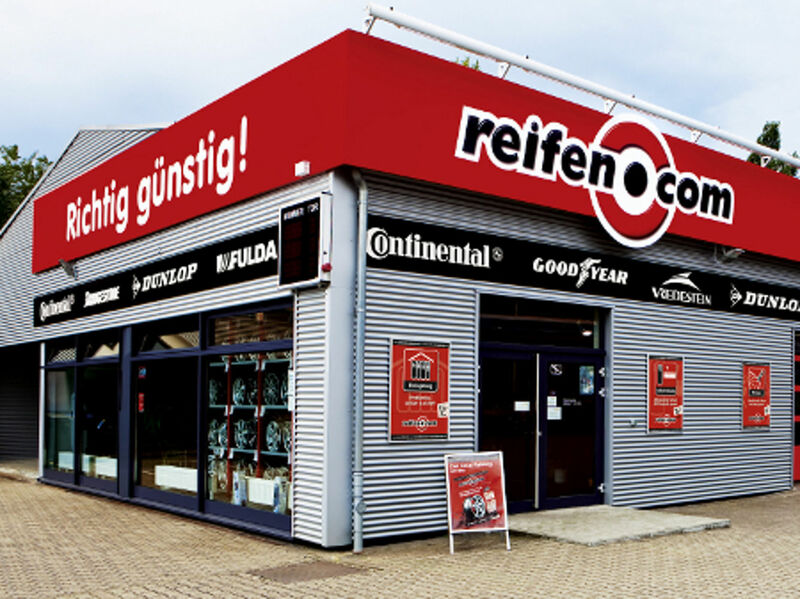 reifen.com offers you an enormous tyre selection for all times of the year. No matter if premium tyres or less well-known brands – you are ensured to get a maximum of quality at unbeatable low prices. Because of lacking brand loyalty and great stocks, we guarantee a prompt delivery of common brands and a professional, fast assembly. At reifen.com you can buy immediatelly and pay later. That way you secure the tyres, rims or complete wheels you like today, but do not pay until the time spam favoured by you. And this is done at favourable conditions, after 30, 60 or 90 days. This service only costs 1% of the purchase price per month. If the worst comes to the worst, you get the exact same model delivered and mounted by us for free. Should you not live close to a branch, the insurance even accepts a part of the fitting costs through a different assembler that is more conveniently situated for you. And if your model should no longer be available at the manufacturer meanwhile, we get you – to avoid dangerous mixed tyres – two of comparable quality that can be fitted onto the equivalent axes. Due to ever-poorer road conditions we offer you the highest possible safety at the least possible concern factor. You can get further information in our branches and in our additional warranty policy. Generally there is the possibility for registry of all wheel-tyre combinations directly on site at our branches after examination by an officially accredited inspector. The prices for this comply with the service price lists currently valid at the respective test organisation. Please ask for the valid prices at your reifen.com branch. On site you find out which test organization is active in your branch. Each appointment needs to be coordinated and made directly with us in advance! Please understand that we cannot carry out registrations without prior appointment. At the end of every tyre's life there is dismantling and disposal. So that your old tyres do not represent a burden on the environment, we take care of an environmentally friendly and legally compliant disposal of used tyres for you. All fitting prices are understood to be per tyre including balancing, rubber valve, as well as tyre mounting and dismounting. Please note: When fitting with TPMS (mounting sensor, programming the sensor, training the sensor, function control) further costs arise. Please request these directly at the branch. We are happy to answer your questions about our prices and services via phone or on-site. 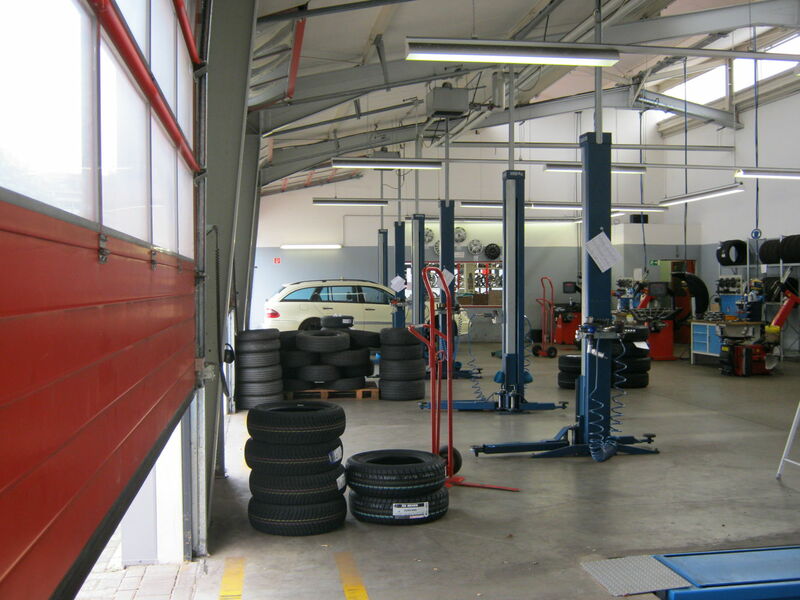 All prices for the tyre change are to be understood as per tyre. Please note: When fitting with TPMS (training and function control of the sensor) further costs arise. Please request these directly at the branch. *Payment against invoice is only available to customers resident in the Federal Republic of Germany, and up to a total order value of 1,000.00 EUR! Commercial customers and resellers may also pay against invoice following a successful credit assessment. reifencom GmbH shall inquire at the following credit agencies regarding information stored in their database about your personal address and creditworthiness, including information produced based on mathematical-statistical processes (scoring). 4) An item that is marked with “individual production” is specially produced for you. Due to this individual production after your order, the delivery time is slightly longer, namely ca. 2 weeks.